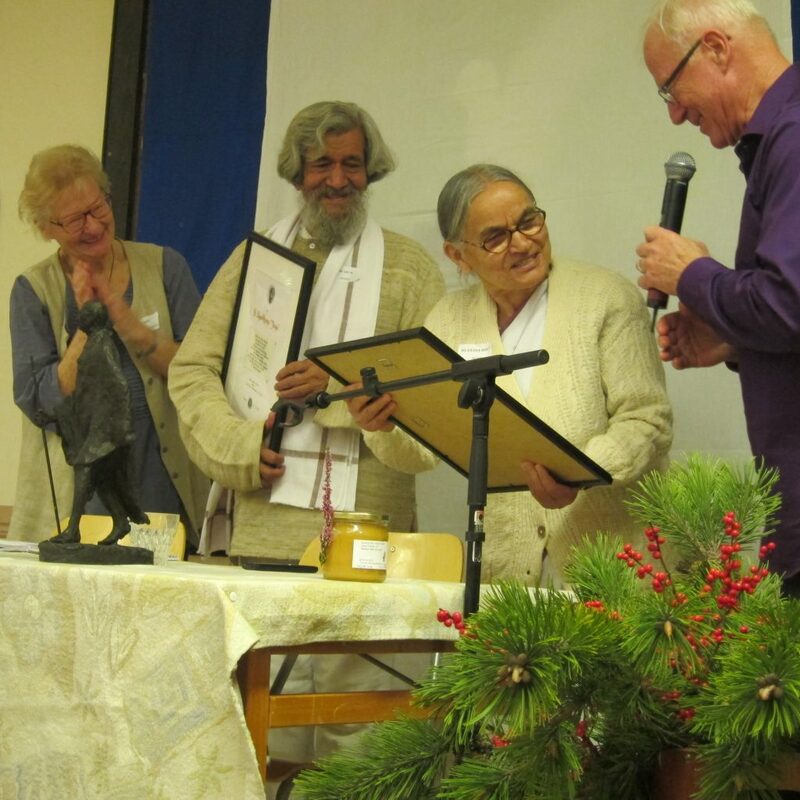 On Saturday 5 December 2015, the Peace Movement (Fredsrörelsen) at Island Orust on the Swedish west coast (50 km north of Gothenburg), gave a posthumous People’s Peace Prize in memory of Alfred Nobel’s Will to (Mahatma) M K Gandhi. 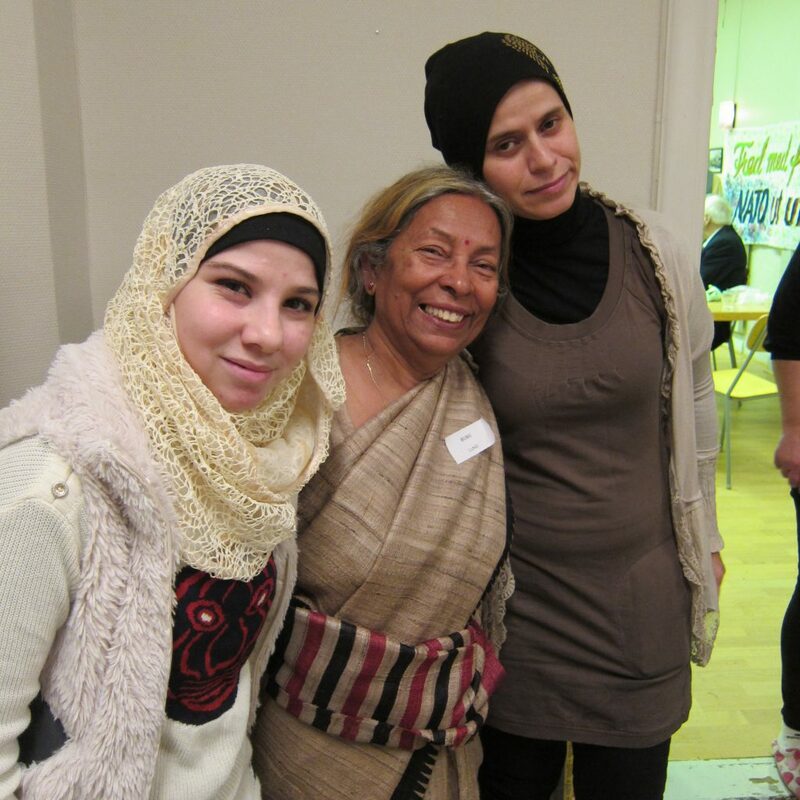 The award was handed over to Ms. Radha Bhatt, Chairman of the Gandhi Peace Foundation in New Delhi, India. 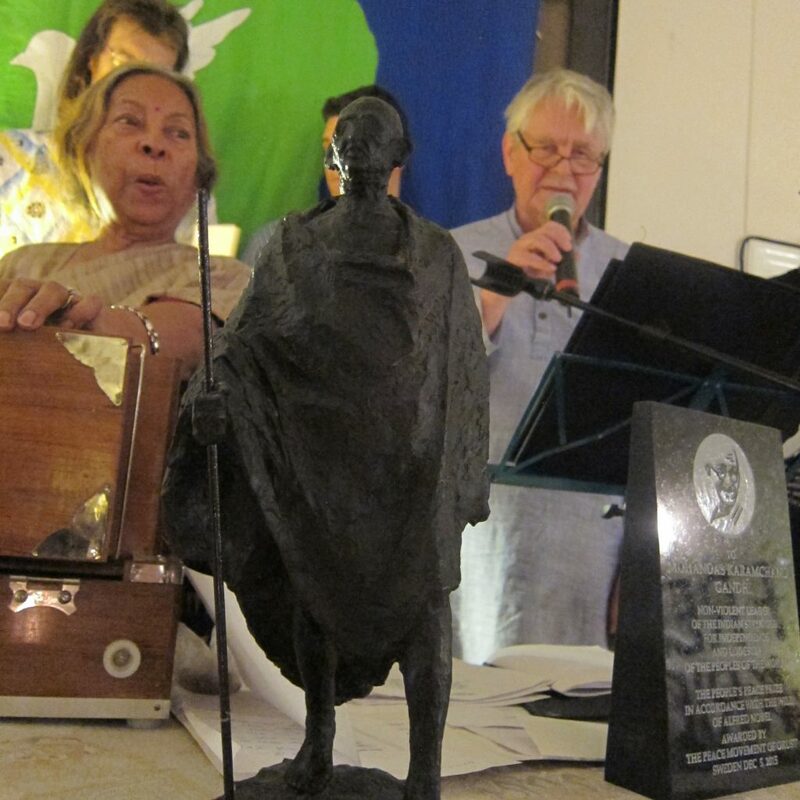 During his lifetime, Gandhi never received the more well-known Nobel Peace Prize, even though he was nominated five times. 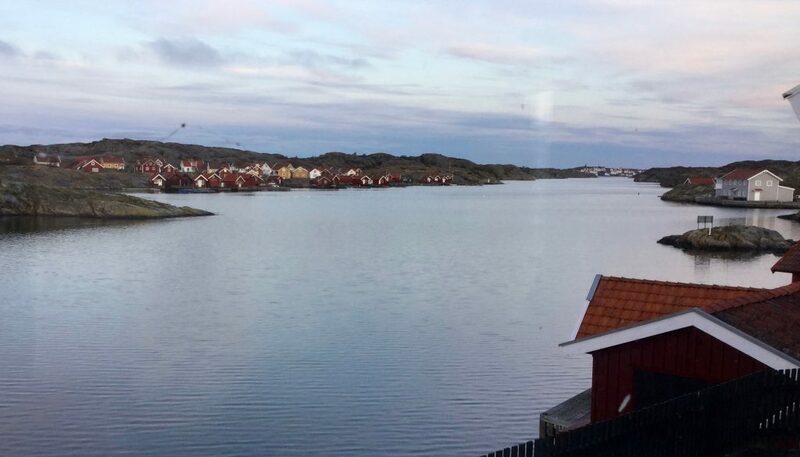 The award ceremony took place at Svanviks skola near to fishing village Stocken, but was preceded by a day full of seminars, from 10 AM till 5 PM, on Gandhi’s life and mission. 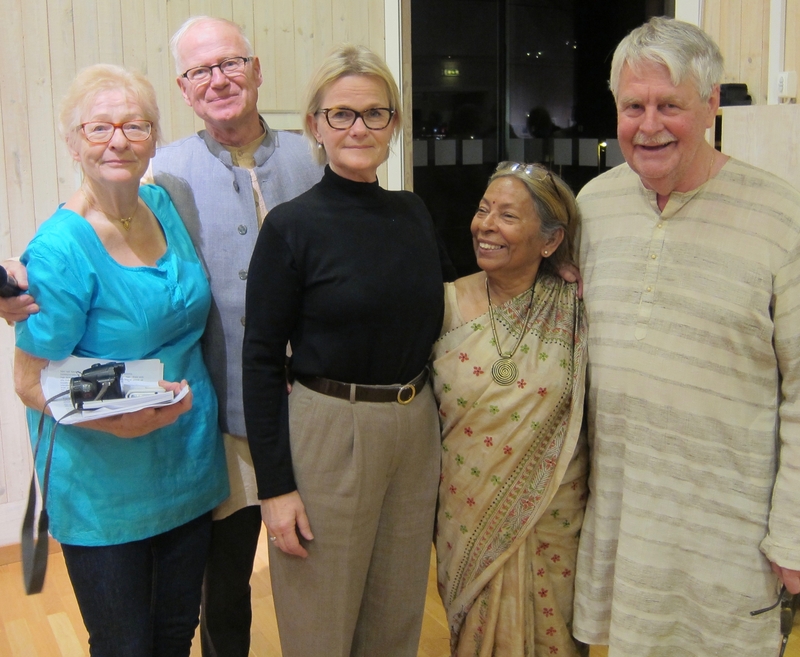 Peace researcher Jørgen Johansen from the Transnational Foundation for Peace and Future Research in Lund, and Mr S Upadhyay (Jaya), educator and founder of Jagriti Vihara, a development organisation in Indian state of Jharkhand, lectured on ”The Importance of Gandhi for Today’s World”. 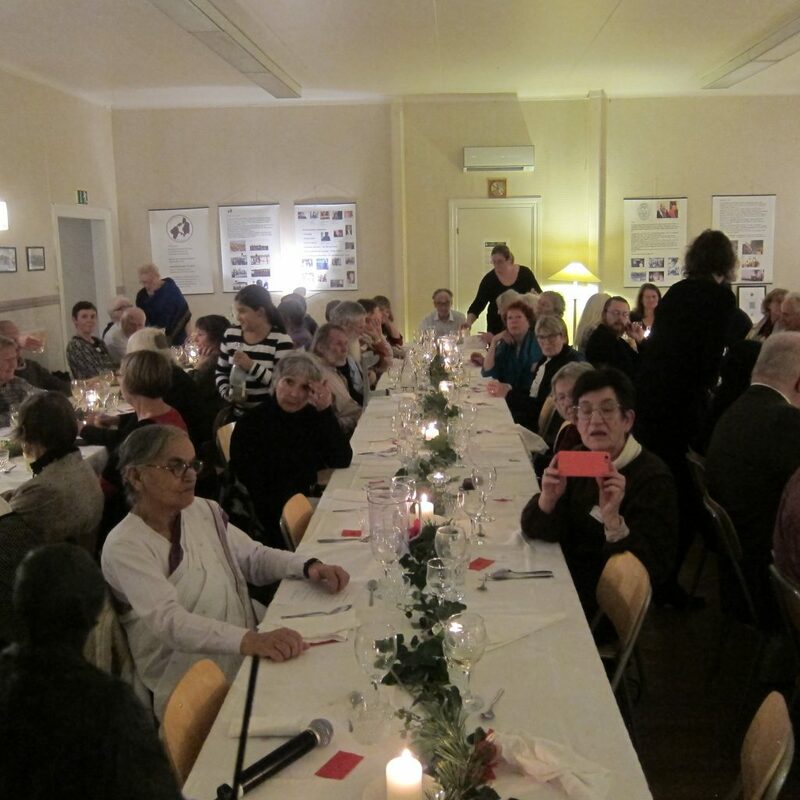 The International Tagore Choir from Lund, led by Bubu Munshi Eklund, performed at the award ceremony (photo below), and Indian food was served. 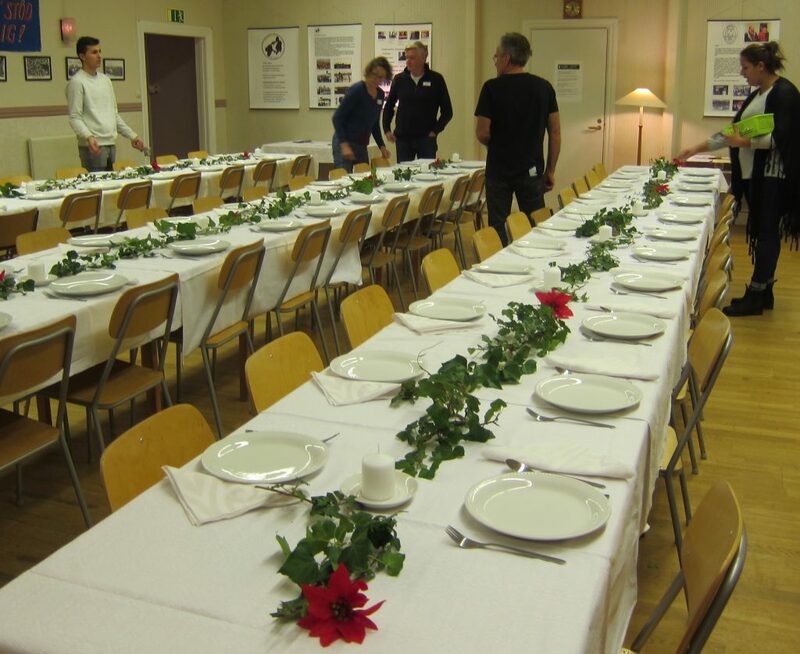 The entire function was organised by Fredsrörelsen på Orust and its driving forces, Ola and Erni Friholt. 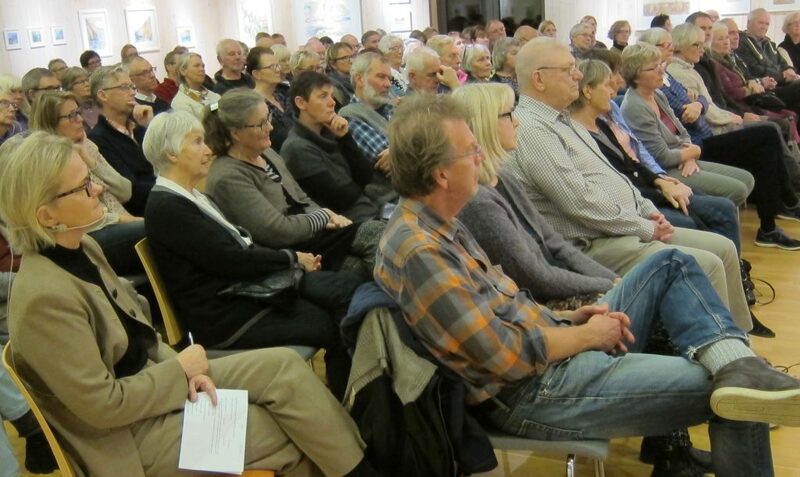 Already two weeks earlier, on Thursday 19 November 2015, at 19.00, Fredsrörelsen på Orust organised another programme on Mahatma Gandhi, at Kulturhuset Kajutan in Henån. 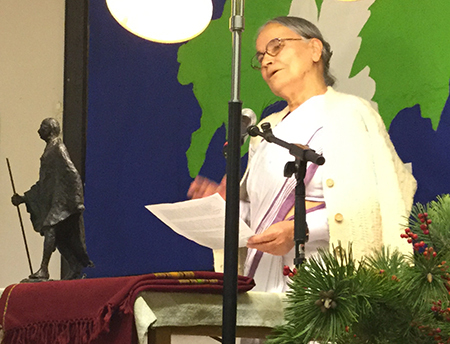 The programme was entitled ”Reading of Gandhi” and featured actor and theatre manager Sissela Kyle, who read out speeches and articles about self-reliance and liberation, from the book ”Om ickevåld. 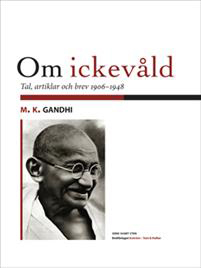 Tal, artiklar och brev av M K Gandhi, 1906–1948” (h:ström Text och Kultur publishers, 2014), translated and edited by Erik Carlquist and with contributions also by Sweden-Indian writer Zac O’Yeah and Stellan Vinthagen, Professor of Nonviolence and Resistance Studies at University of Masachussetts. 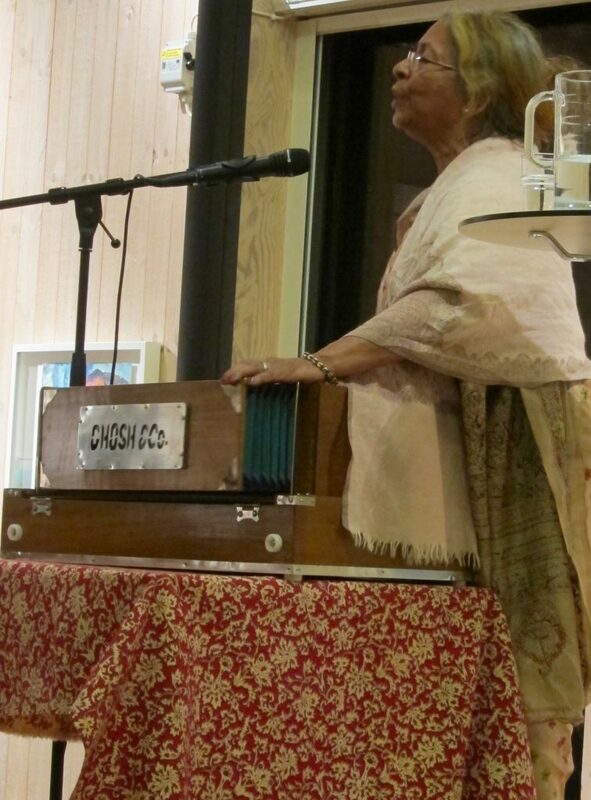 The programme that drew a full house also included a musical programme by rabindrasangheet singer Bubu Munshi-Eklund from Kolkata/Lund. 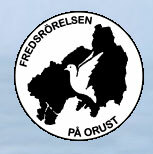 More information about both events on http://www.fredsrorelsen-pa-orust.se/aktuellt.php.